The Flauto 1 Plus has a head made from a special plastic and a maple bottom. Starter musicians often have problems caring for their instrument, especially the head must be especially cared for, for this reason this model is made from a robust plastic. The bottom is maple which creates a soft "flutey" sound. Since several centuries the name Moeck has represented perfect recorders. Hermann Moeck sen. has been distributing recorders which are manufactured in his home workshop in Saxon Vogtland since 1930. The intoantion and tuning were done by him personally. Alongside recorders he distributed violas, clavichords and spinettes which were partially manufactured in his workshop, too. During the 60s the intrest for historically authentic instruments arose. To meet with this demand Moeck developed a new programm: the reconstruction of wood-wind-instruments from the renaissance and baroque eras. This programm has been extended and accompanied by academics til this day and consists of crumhorns, kortholts, shawms and bombards, dulcians, beaks, oboes, bassoons etc. Yet, the central focus of instrument building was put on the recorder. Due to continual development and the permanent adjustment of the instruments to the needs of the musicians the brand has become a guarantee for good quality. Today Moeck uses the newest computer based technologies to build instruments, but still the amount of hand-made instruments is very high. Moeck has managed to combine his craftmanship with modern technology and built several instruments with a very high quality standard. Moeck offers the perfect instrument for beginners and professionals. Especially beginners need good instruments, so that the music making stays fun and the practice is worthwhile. 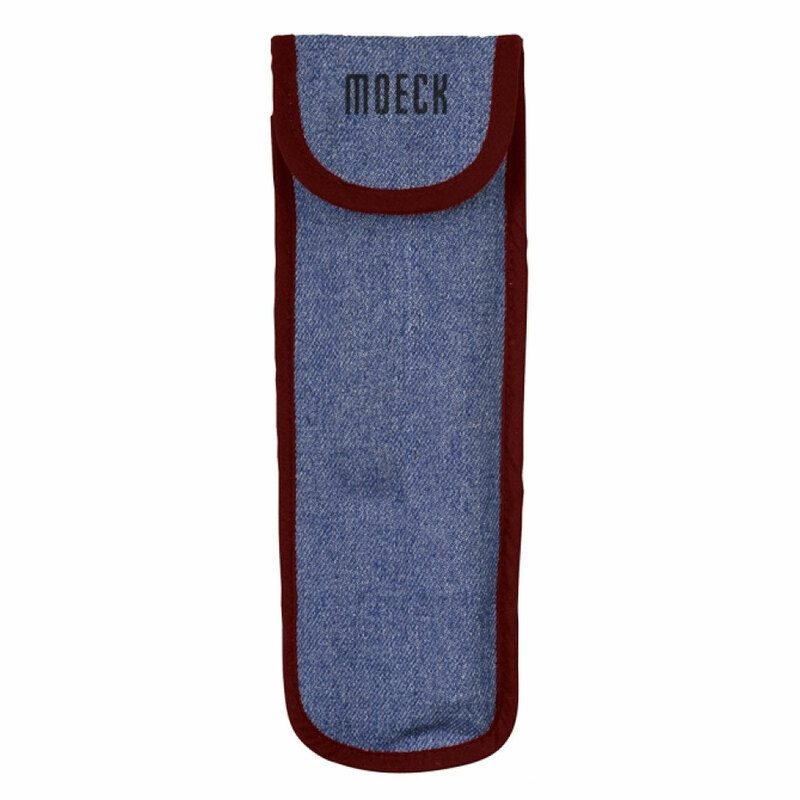 Moeck therefore takes a lot of care in the production of their beginner flutes. Younger musicians often have problems with the care of their recorder. The flute head, in particular, needs careful care. 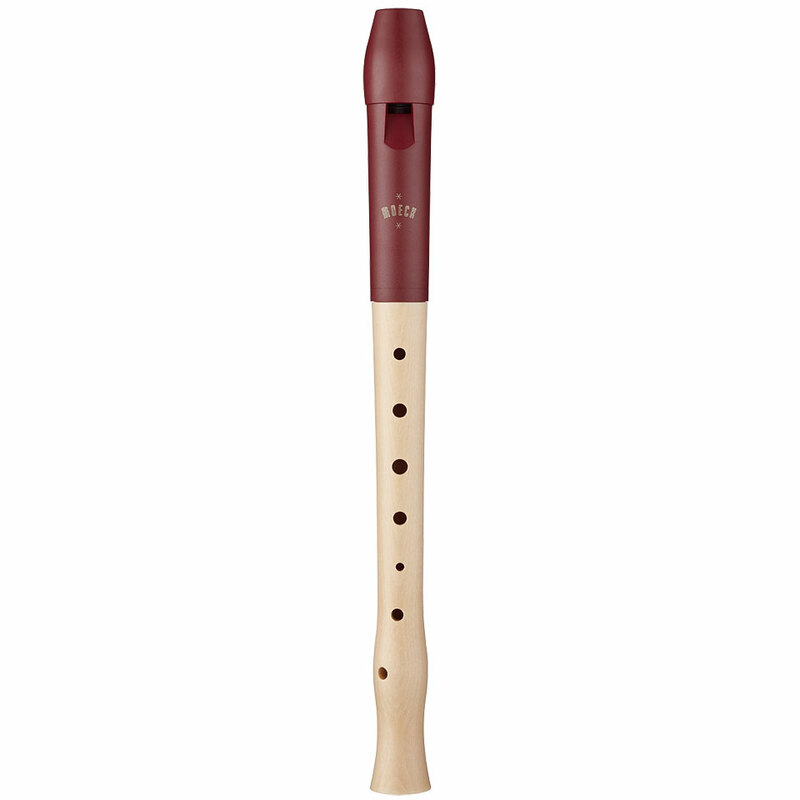 To ensure that children are not overwhelmed, Moeck has equipped the models of the Flauto 1 Plus series with a durable, easy-to-clean headpiece made of special plastic, available in various colors. This head piece can be cleaned optimally and forgives also the one or the other "more hefty treatment". The maple base ensures the typical warm sound character of the Flauto 1 Plus. The ergonomic shape in the area of the lowest tone hole shortens the grip path and is ideal for small hands and ensures relaxed playing for the fingers. This item was given an average rating of 4.9 out of 5 stars. No review about this product has been written yet. 15 ratings exist without a text or these reviews are written in another language.